FIELD TRIP REPORT: THINGS THAT GO BUZZ, CROAK, HOOT & BUMP IN THE NIGHT. Saturday May 5, 2018: 6-10pm. We started the evening with a nice dinner at the Wilbert Cafe in Cotton, MN and then met the entire crew at the Welcome Center by 6. There we found that a Black Bear had “thoroughly investigated” the 3 remaining feeders and left a big pile of “calling card.” Soon after we headed out in our car caravan, sharp-eyed participant Jeri Schwerin spotted an almost invisible AMERICAN BITTERN hunting along the ditch of Overton Road near Owl Avenue. We all got SCOPE-LOOKS (!) at this amazingly camouflaged bird (see photos). Several perched Broad-winged Hawks allowed us to stop for binocular and even scope-views. At Lake Nichols (where the ice just went off a few days ago) we picked up Red-breasted Mergansers, Buffleheads (males performing their head-pumping courtship displays), Common Loon, Double-crested Cormorant, male Wood Duck and several other waterfowl species…an excellent list for early May. A dusk stop on the south end of Admiral let us all enjoy the evening chorus of shrub-willow species including many Wilson’s Snipe winnowing overhead, American Bittern “pumping”, Sora whinnying, Swamp Sparrows singing. 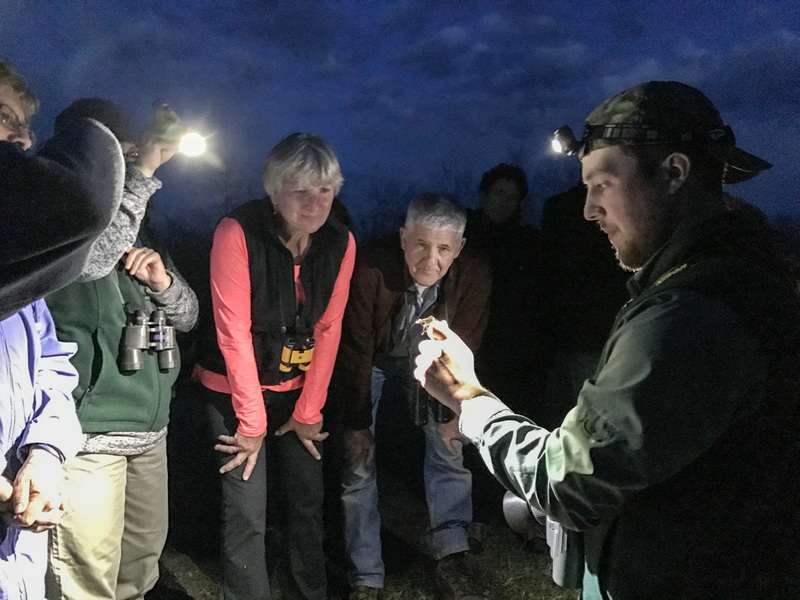 We even had flashlight views of a curious Sedge Wren at less than 10 feet! Though we did not hear any Woodcock well, we did get a brief view of one flying. 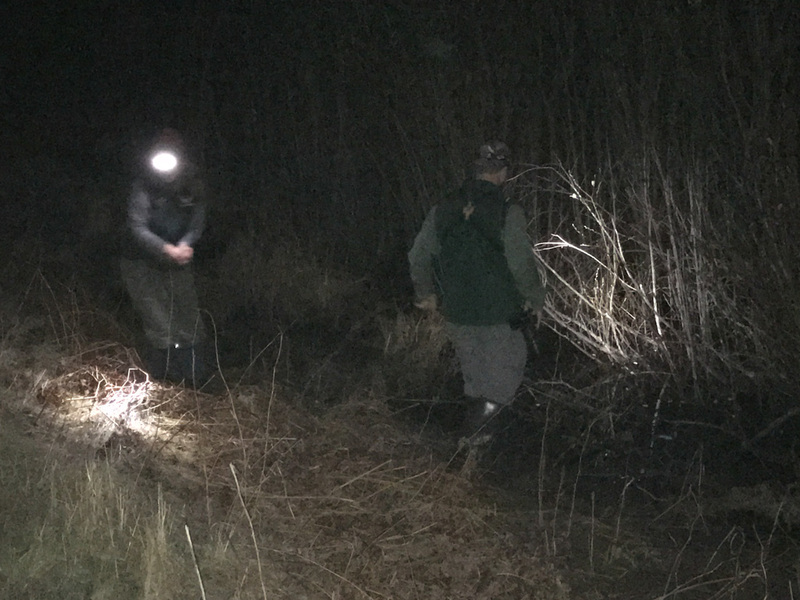 On our last stops after dark, FOSZB naturalist Clinton Nienhaus made two excellent captures in the ditches so that we all got close up looks at Wood Frog (many calling) and a rarely-seen Boreal Chorus Frog (photo). Spring Peepers were also out in numbers. Thanks to all 21 participants for being such an enthusiastic group and going along with our crazy tour. Sparky Stensaas. 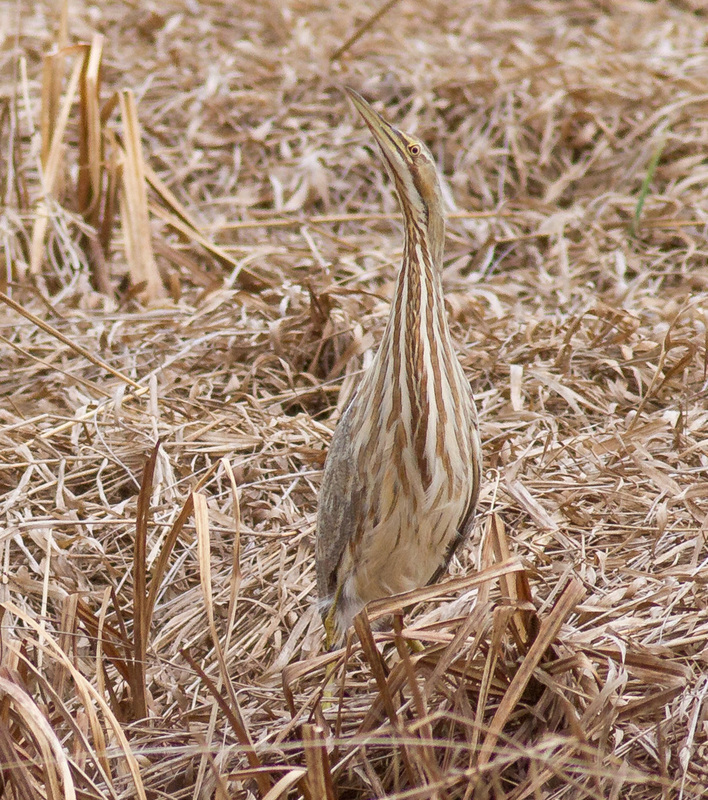 Participant Jeri Schwerin spotted this nearly invisible well-camouflaged American Bittern and we all got scope-looks! Here it is doing its best impression of a bunch of old dried cattail stalks…and doing a pretty good job of it! 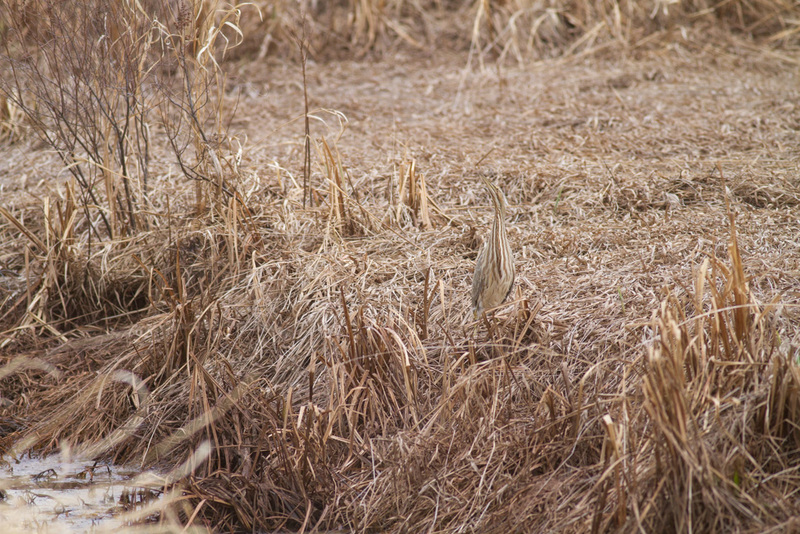 Can you spot the Bittern? Jeri did! 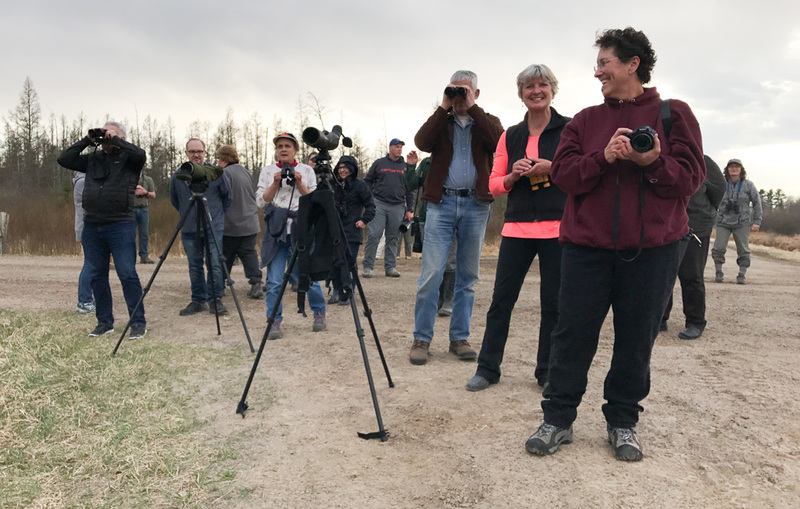 We watched the American Bittern while facing west, then turned around in our spot to watch a perched Broad-winged Hawk to the east. 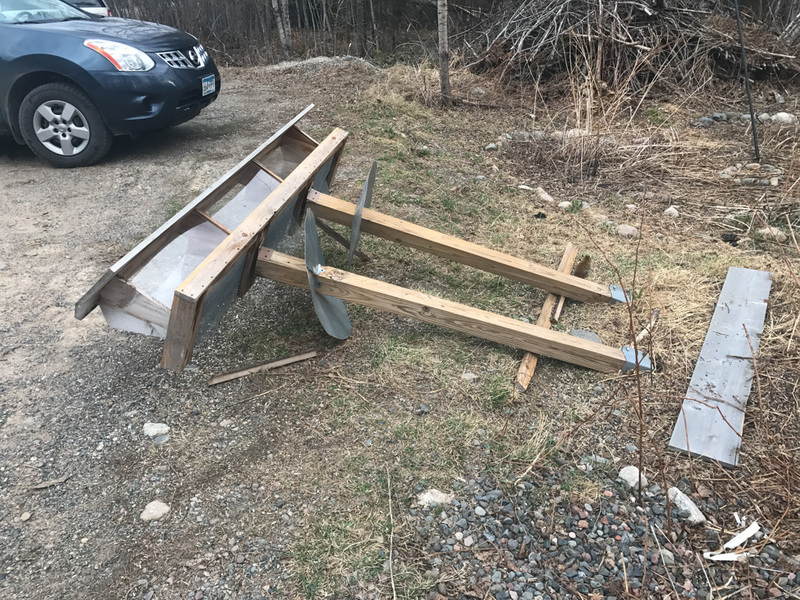 A Black Bear knocked over our Mega-feeder sometime in the last couple days. FOSZB Head Naturalist Clinton Nienhaus and Welcome Center Naturalist/Host Heather-Marie Bloom searching for frogs. 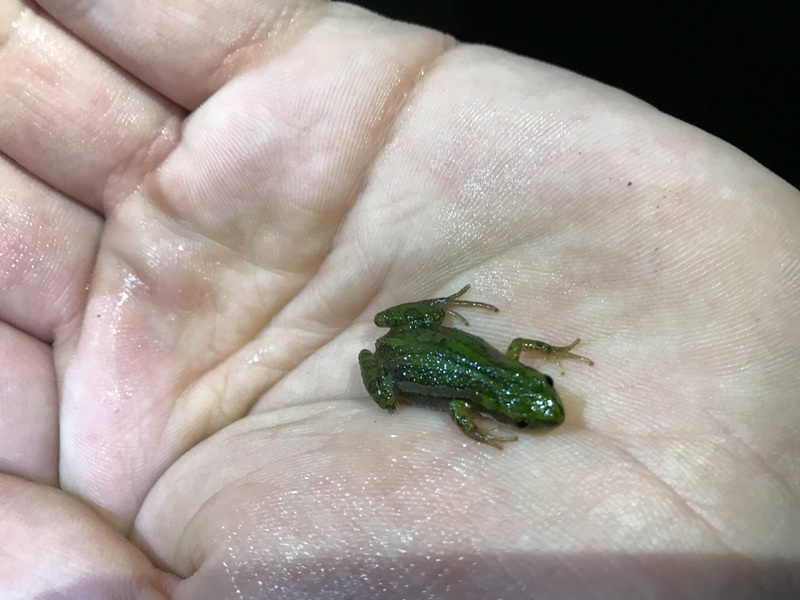 Clinton found us a real treat!… A Boreal Chorus Frog (full grown!). These guys are rarely seen and many are more brown in color. 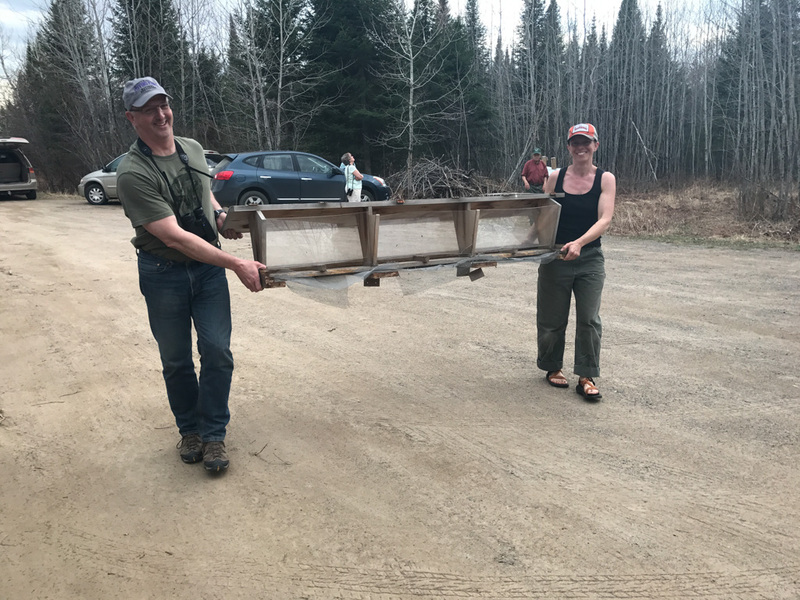 Clinton sharing his find with the group…and a little natural history of the Boreal Chorus Frog as well.